Outsourced accounting is becoming the popular choice among small and medium-sized businesses that want to reduce their overhead expenses without affecting efficiency. If you are starting your own business or you are simply studying accounting, it is important that you know the difference between outsourced and in-house accounting. While both methods of accounting operations cover the same general scope of duties, each is different in the way that they are structured. Read on, and find out how outsourcing works and what the benefits of outsourcing all accounting operations are. Outsourcing refers to paying a third-party service provider to perform one or multiple different business tasks in order to keep the busy fully operational. By signing a contract showing the services that will be provided, the company doing the outsourcing will agree to pay either a fixed or fluctuating fee. While there are several different operations and functions that can be outsourced today, one of the most common is accounting. This is because their is both a US standard and a global standard that is used to report and process all financial statements and cash ledgers, which makes it easy to find any experienced professional to do the job. What Types of Functions Will Accounting Firms Do? What Are the Benefits of Outsourcing Accounting Functions? There are a long list of benefits associated with outsourcing a function like accounting, according to CPA Practice Advisor. Perhaps the biggest benefit is that you can keep the office efficient and reduce expenditures all at the same time. This is not common in business. Outsourcing is cost efficient because the firm you choose takes on multiple clients and this can keep their costs low. They also hire experienced pros and pay their salaries. This means you do not have to worry about payroll taxes and benefits for another professional because it is handled by the accounting firm. You also will have peace of mind in knowing that you will pay a flat fee to get functions done. This makes budgeting for the upcoming year much easier. If you invest in outsourced tax filings, the firm will handle any audits and many firms actually pay fines for errors. This passes the burden on to the firm instead of taking it on yourself. Not all companies are created equal. When you are trusting a company with your financial data, it is important that you do your due diligence. Ask what level of experience accountants have, how they are screened, what software is used, how often they contact you, and how fees are charged. You can also ask other business owners for recommendations or read reviews to see how the company has performed in the eyes of those who have already done business with them. Handle everything that you can and pass on the functions you cannot to professionals. 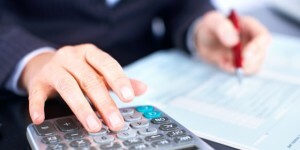 Everything points to outsourcing your accounting when you want to keep costs low. According to the Houston Chronicle, reduce the time and resources you spend on non-revenue producing functions, and you can put your focus more on those functions that do generate profits. This is what outsourced accounting is so popular today.